We listed the first five in our list of 15 wacky and amazing themed hotel rooms. As promised, here’s part 2 in the 3-part series. 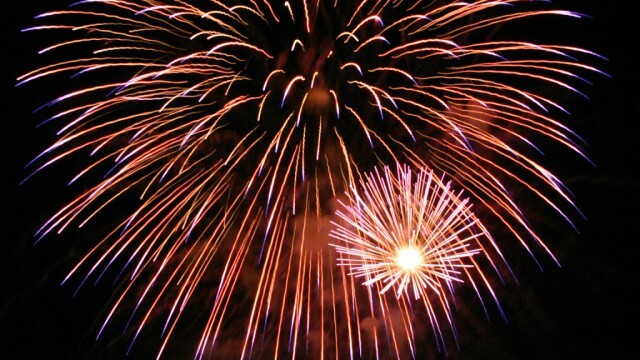 If you can’t decide between staying in for a romantic evening or going out for a night on the town, why not enjoy the best of both worlds? 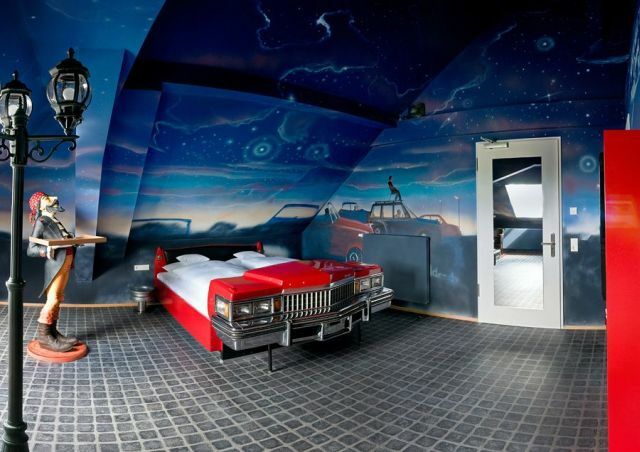 This alternative car-themed room, also located in the V8 Hotel, brings the outside inside with the theme of an all-American drive-in cinema. Featuring a large and luxurious automobile bed, a (hopefully silent) waiter statue, and a ticket booth wardrobe, this room will give weary travellers a chance to rest their heads, while watching movies on the large screen provided – hopefully without the sound of too much traffic. If this looks like a particularly scary hotel room to you, don’t worry: you haven’t stepped into a Stephen King story; it’s just another, how shall we say, unconventional suite at Berlin’s Propeller Island City Lodge. 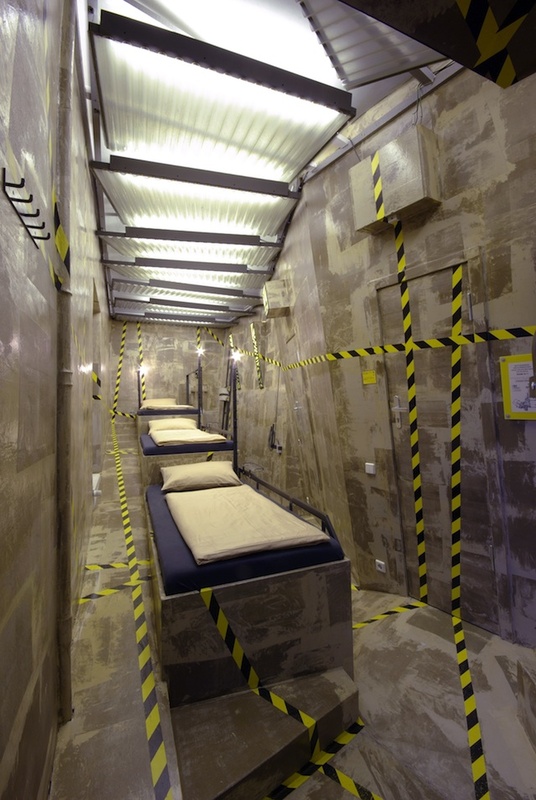 The tube-like room has space for three, though guests will have to be content with sleeping in what appears to be a crime scene with an uneven floor. Still, at a mere 85 Euros ($106) a night, this is a steal – as long as you don’t mind police officers drawing around you with chalk while you’re sleeping! The Victorian Mansion in Los Alamos, California prides itself on delivering high-quality vintage travelling experiences, all of which are based on particular historical eras or faraway lands. 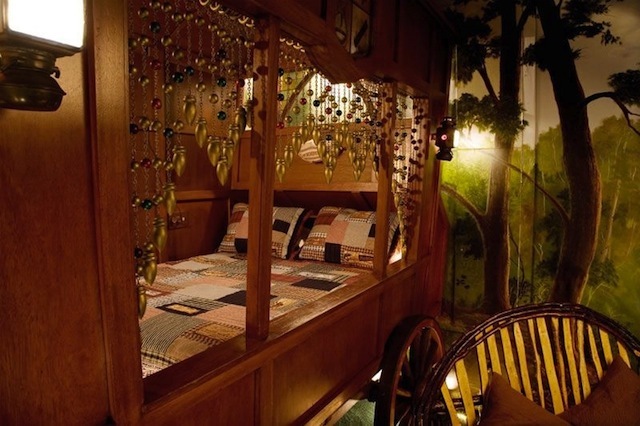 For 275 US dollars a night, the Gypsy Suite provides a particularly romantic atmosphere, complete with a wagon-style double bed, “campfire” fitting, and the relaxing sounds of forest rain surrounding you at night. It’s sure to appeal to anybody with rustic sensibilities. Anyone who’s seen the set of John Lennon’s classic Imagine video will recognize the piano in this suite! Liverpool’s Hard Day’s Night Hotel offers several rooms themed around the Fab Four and features a statue of the legend Lennon himself as well as specially commissioned artwork. 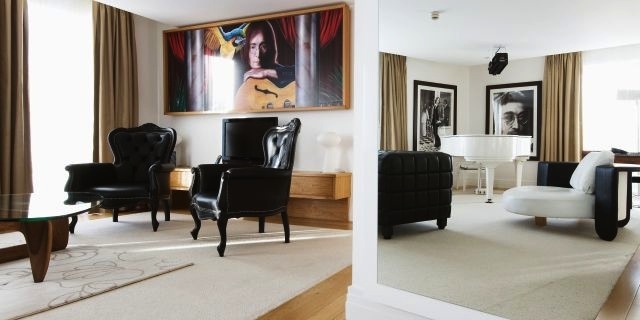 The art deco design of the Lennon Suite perfectly reflects the elegant style of the artist’s solo music and imagery. This plush room will apparently set you back the equivalent of $1,300 for a night – though we’re not sure Lennon would have approved of that, what with “imagine no possessions” and all! This awesome hotel in Edmonton, Canada has several luxury suites with distinctive themes, for prices of around 300 Canadian dollars a night. The luxury Igloo Room would make any picture book Inuit proud and includes a large, round bed, Arctic animal artwork on the walls, and even an in-room safe. The Jacuzzi clashes with the chilly style somewhat – but who’s complaining? 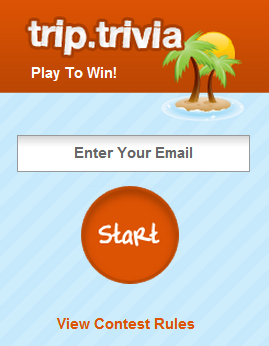 Stay tuned for part 3 of our top 15 Most Awesome Themed Hotel Rooms.